We strive to provide innovative one of a kind products for research labs. Our founders have worked in the academic and industry research labs for several years and has identified the need for simple products which makes their work easy in the lab. We take pride in the fact that in the past decade we have designed and developed several innovative products which are used by thousands of researchers worldwide making their work a little easier and more efficient. We continue in that path to better serve you. We are satisfied when you are happy. 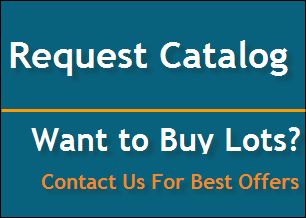 Besides the innovative products, we also sell other general laboratory items, so it can be a one stop shopping for your convenience. Although our team is continually thinking of new product ideas we cannot do it alone. So if you face a certain problem and wish, there has to be a better way to do it, please share your problems with us and we may be able to help you with a product solution. Please visit us regularly to check new products or to learn about other useful products. Thank you for stopping by and wish you all the best. Easier way to prepare PCR samples with less mistakes and variation. New Type of Tissue Culture Dish (Petri Dish) for Stem Cell Culture. New Tool for Easier Handling of Cells During Cryopreservation of cells- Cryovial Cool Block.